Festival Chamber Music is known for presenting great music in a warm, intimate environment. 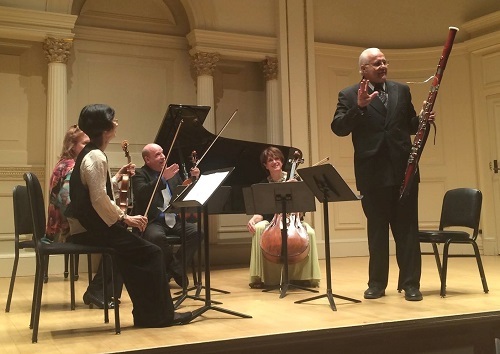 The performers at our concerts are some of the finest chamber musicians in New York, who in addition to their artistry are known for the exuberance of their performances and their warm interaction with audiences. Following each concert, the audience is invited to a party where they can meet the artists and socialize with other audience members.